According to Article 1(2) of the Competition Act and Article 3(1) of Regulation (EC) No. 1/2003, if the Italian Competition Authority (ICA) applies Article 3 to abuses that affect intra-EU trade, it must also apply Article 102 TFEU. Furthermore, pursuant to Article 1(4) of the Competition Act, Article 3 must be interpreted in accordance with well-established EU principles. The abuse cases in the period under review concerned many different practices, including excessive pricing and unfair trading terms, refusal to deal, exclusive dealing, loyalty-inducing rebates, margin squeeze, discriminatory practices, and misuse of rights and legitimate interests. In January 2017, the ICA accepted the commitments offered by Net Service in proceedings initiated in May 2016 concerning an alleged abuse committed by Net Service in the market for the application software used to create and manage online legal documents and files on PCT, the online civil trial platform.13 Net Service had the exclusive right to develop and manage the PCT platform, which was considered an essential facility to operate in the related market for application software. According to the ICA’s preliminary findings, Net Service had used its monopoly in the management of the PCT platform to leverage its market power in the downstream market. In particular, the dominant company would have used upgrades to technical specifications of the PCT platform in advance of other operators in the downstream market for application software. This would have granted Net Service a competitive advantage in the provision of application software in the downstream market. c prepare reports relating to the activities carried out by the PCT blog to increase transparency on possible technical problems. The ICA considered that this set of remedies would address its concerns and solve the issues raised by the competitive advantage enjoyed by Net Service because of its monopoly in the upstream market. b discrimination against rightholders registered with competitors, in particular in relation to payments due by the former monopolist, which were managed and made by NUOVOIMAIE as legal successor. d implement a series of behavioural remedies aimed at removing the concerns regarding the agreements with the most relevant national customers (such as offering certain counterparties a licensing agreement on fair, reasonable and non-discriminatory terms and proposing arbitration proceedings to solve issues relating to payments). c offering a discount on membership fees to farmers using Codipra’s insurance broker, Agriduemila, thereby leveraging its monopoly in the market for intermediation services into the downstream market for insurance broker services. g organising a periodic antitrust compliance training programme for Codipra’s bodies, management committee members and employees. c setting a cap on the fixed costs to be reimbursed by the competent energy authority in the event that the Brindisi plant is found to be essential for the security of the electricity system, thus falling under the regulatory reimbursement regime. c other commercial initiatives, such as a strict monitoring policy to ensure compliance with the loyalty-inducing strategy, including through payments to trade associations to monitor their members’ compliance with the loyalty-inducing strategy, and pressure on retailers to induce them to buy Unilever’s least successful products. The ICA held that Unilever’s practices had foreclosure effects and limited the choices available to consumers by making it more difficult to find ice creams offered by Unilever’s competitors available for sale. With specific regard to the retroactive discounts and rebates, in line with the Guidance, the ICA noted that they encouraged loyalty and created switching costs for customers, as customers would lose the benefit retroactively granted by Unilever in the event that they did not meet the thresholds or switched to other suppliers. However, the ICA refused to apply the as-efficient competitor test provided for by the Guidance. The dominant firm submitted a test showing that most customers would have been contestable by as-efficient rivals, and argued that, based on the recent Intel judgment of the ECJ, the ICA has to carry out an adequate price-cost analysis if the party argues, on the basis of supporting evidence, that the practice is not capable of excluding equally efficient competitors. The ICA stated that the Unilver case was different from the Intel case, as the loyalty discounts and rebates were part of a broader exclusionary strategy, encompassing also exclusive dealing obligations, which were as such exclusionary. In the ICA’s view, the loyalty discounts and rebates offered by Unilever were anticompetitive because of the way in which they were structured and applied, and not because they forced as-efficient competitors to sell below cost. Accordingly, the ICA asserted that the complex exclusionary strategy allegedly implemented by Unilever should not be assessed on the basis of the as-efficient competitor test. f the exclusionary strategy allegedly implemented by Unilever. In December 2017, the ICA imposed a fine of around €20 million on Poste Italiane (PI) for having offered its business customers economic and technical conditions that could not be replicated by as efficient competitors in the market for bulk mail.19 Bulk mail services are commonly used by large business customers (e.g., banks, insurance companies and telecommunications operators) to send communications to their clients (such as account statements, bills and expiry warnings). The ICA considered that PI (the incumbent in the postal sector in Italy) was dominant in the market for bulk mail services, and continued to be the only operator covering the entire national territory, including extra-urban areas. In contract, competitors had more limited territorial coverage and needed to purchase bulk mail services from PI to cover certain extra-urban areas. According to the ICA, starting from 2014, PI squeezed competitors’ margins in extra-urban areas by providing rivals only with the basic bulk mail service in the intermediate market, and offering a value-added service (the certified date delivery service called Posta Time) at lower prices to business customers in the downstream market. In addition, competitors could not replicate PI’s technical conditions, as the certified date delivery service was superior to the basic bulk mail service made available to competitors by the incumbent. Furthermore, PI entered into exclusive dealing agreements and offered selective and retroactive loyalty discounts and rebates to customers that purchased all their bulk mail requirements, or a substantial part of them, from the dominant company. The ICA mentioned that, based on the Guidance, exclusionary effects are more likely when rivals cannot compete for the entire demand of individual customers and, thus, the dominant firm is an unavoidable trading partner. However, even in this case, the ICA refused to apply the as-efficient competitor test. It recalled that, according to Post Danmark,20 there is no legal obligation to base a finding that a rebate scheme is abusive on the as-efficient competitor test. The ICA did not even mention the Intel judgment. The ICA’s price-cost analysis differs from the standards proposed by the Guidance and used in the Commission’s decision-making practice, and seems to be unprecedented. Inter alia, the ICA tried to assess, at the same time, the impact of the alleged margin squeeze (in certain specific areas) and retroactive rebate schemes (in all areas) without isolating the specific impact of each practice on the ability of rivals to compete. Furthermore, it based its analysis on the territorial coverage of actual competitors instead of hypothetical efficient rivals. The ICA also assumed that competition law should ensure that rivals obtain a certain profit margin, which seems to be more consistent with a regulatory rather than an antitrust approach. In December 2017, the ICA imposed a fine of around €6 million on Vodafone and a fine of around €4 million on Telecom Italia (Telecom) for having abused their dominant position in the upstream market for short message service (SMS) termination services to exclude as-efficient competitors in the downstream market for bulk SMS.22 Both Vodafone and Telecom, as mobile network operators, were dominant in the market for SMS termination services on their respective networks. According to the ICA, in the upstream market Vodafone had engaged in internal and external discrimination of an economic and technical nature, by charging other licensed operators (OLOs) higher prices for the provision of SMS termination services (€2.3 to €2.6 cent per SMS) compared to the prices applied to its internal divisions (€0 to €0.5 cent per SMS); and providing OLOs with interconnection services that were more expensive and of lower quality than those reserved for itself. As a result, Vodafone could offer prices not replicable by as-efficient competitors in the retail market for bulk SMS services, thereby also hindering infrastructure investment in the sector. Similarly, the ICA concluded that Telecom had also squeezed competitors’ margins by offering its internal divisions prices lower than those charged to OLOs. In particular, the ICA assessed the bids submitted by Telecom in recent tenders launched by large customers. According to the ICA, Telecom had won all but one of the tenders by presenting offers below the critical threshold represented by termination costs, thus forcing some competitors to bid at a loss. In particular, the ICA held that access to L’Adige’s news was essential because customers explicitly requested that press reviews also covered that newspaper. In the absence of news from the main local newspaper, press reviews were not considered complete. Furthermore, the refusal prevented the commercialisation of a new product, namely digital local press reviews, which could be personalised on the basis of customers’ needs, interests and requests. Finally, the ICA noted that the refusal would have eliminated, or at least substantially restricted, competition in the downstream market, and was also not objectively justified in light of the fact that SIE had provided access to its news in the past. In March 2018, the ICA imposed a fine of more than €29 million on the shippers Moby and Compagnia Italiana di Navigazione (CIN) for having abused their dominant position on three transport routes between Italy and Sardinia.24 According to the ICA, Moby and CIN implemented complex and aggressive anticompetitive conduct aimed at hindering the growth of competitors. In particular, the two firms had imposed unjustified economic and commercial penalties, and retaliated against logistics companies that also used competitors’ transport services; and granted more favourable conditions to logistics companies that had remained loyal to Moby and CIN. The ICA concluded that Moby and CIN’s strategy had limited entry and growth of competitors on the routes concerned, thus also harming consumers of the transported goods. c it submitted a second bid, higher than the first, to win the tender. In the ICA’s view, SEA’s conduct intentionally and irremediably altered competition for the market by preventing the entry of an efficient competitor that was capable of offering a high-quality service. The TAR upheld the ICA’s view that SEA had prevented Cedicor from entering the market for the management of airport facilities for general aviation by misusing its contractual right to terminate the subconcession agreement. In particular, the TAR confirmed the ICA’s finding that SEA had strategically exercised its contractual right to terminate the subconcession agreement to alter the outcome of the tender procedure for the sale of ATA to the detriment of Cedicor. However, the TAR considered that the ICA had misapplied the 2014 Fining Guidelines and annulled the part of the decision concerning the amount of the fine. In April 2017, the Council of State upheld the ICA’s choice to pursue a complaint for an alleged abuse by adopting a recommendation instead of a decision.26 In 2013, Valoritalia filed a complaint with the ICA alleging that the Chambers of Commerce of Rome, Taranto and Sassari had abused their dominant position in the market for the certification of quality wines. The ICA closed the preliminary investigation without finding any infringement. Valoritalia brought a successful appeal before the TAR, which set aside the ICA’s decision for lack of sufficient reasoning, and ordered the ICA to re-open the preliminary investigation.27 At the end of the new preliminary investigation, the ICA issued a recommendation addressed, inter alia, to the Minister of Agriculture, the Minister of Economic Development and the Union of the Chambers of Commerce, urging them to intervene to remedy certain competition concerns.28 Valoritalia challenged the recommendation before the TAR, which held that the new preliminary investigation and the adoption of the recommendation did not comply with its previous ruling.29 Accordingly, the TAR appointed a special commissioner to resume the investigation and assessment activities concerning the alleged abuse.30 However, on an appeal brought by the ICA against the TAR’s second ruling, the Council of State stated that the ICA had complied with the TAR’s first ruling, which did not require the ICA to start a formal investigation or to find an infringement. In the Council of State’s view, issuing a recommendation was one of the options available to the ICA under the law to counter possible distortions of competition. The Council of State considered that it was actually the most effective solution in the market concerned, where competition concerns were mainly caused by the national legal framework. c abuse of Aspen’s ‘stock allocation mechanism’, which systematically created artificial product shortages in Italy before the AIFA’s acceptance of Aspen’s request. The TAR noted, inter alia, that, although certain initiatives implemented by Aspen were not as such unlawful, the ICA had provided convincing evidence of the dominant firm’s intent to misuse its rights to impose excessive prices (the quid pluris, according to the TAR). The Administrative Court also held that the ICA had rightly applied the two limbs of the United Brands test, as it had demonstrated that there was a significant disproportion between prices and costs, and the prices were unfair, in light of a number of additional factors. According to the TAR, the disproportion between revenues and production costs could not be justified by any improvements in the products concerned or other reasons. In August 2017, the TAR partially upheld two appeals brought by ESTRA and its subsidiary ESTRA Reti Gas against an ICA infringement decision for an alleged abuse aimed at hindering a tender for gas distribution in the municipality of Prato.32 The dominant firm held a legal monopoly in the local market for gas distribution, as it had been awarded the exclusive right to distribute gas in the municipality of Prato. To launch the new tender procedure for gas distribution, the municipality of Prato asked ESTRA and its subsidiary for certain technical and economic information needed by other gas operators to bid. The two companies initially refused to provide the information needed by the contracting authority, and then delayed in providing it. The lack of such information would have negatively affected the tender procedure and would have prevented competitors from participating on equal terms with the two gas operators. In 2017, the Italian civil courts also dealt with a number of abuse of dominance cases that address some aspects of damages actions, including the assessment of dominance, causal link, burden of proof and calculation of damages. In January 2017, the Court of Appeal of Milan confirmed a first instance ruling holding that Telecom Italia had abused its dominant position in the fixed-to-mobile call termination market by implementing a margin-squeeze strategy to the detriment of BT Italia.34 The action for damages was based on the decision issued by the ICA on 3 August 2007 in case A357 concerning alleged anticompetitive practices implemented by Telecom and Wind. Telecom challenged the first instance ruling, inter alia, on the grounds that there was no evidence of causal link between conduct and damage and, in the assessment of the casual link, the Tribunal of Milan had made uncritical reference to the report of the expert witness (CTU). The Court rejected the appeal and increased the amount of the damages awarded to BT Italia. The Court confirmed that the ICA’s infringement decisions constitute privileged evidence of the anticompetitive conduct, and that CTU reports have crucial value in cases involving complex economic assessments, in particular with regard to the assessment of the causal link. In June 2017, the Tribunal of Milan issued an order stating that Facebook’s refusal to advertise electronic cigarette liquids on its platform did not amount to an abuse.35 Vaporart, a firm commercialising electronic cigarettes and related refill liquids, wanted to advertise its nicotine-free liquids on Facebook’s platform. Facebook refused to provide Vaporart with advertising services in light of its policy, which does not allow advertisements promoting the sale and use of tobacco-related products. Vaporart filed a request for interim measures before the Tribunal of Milan, arguing that Facebook’s refusal was not supported by any objective justification and constituted an abuse of dominance that harmed consumers by limiting the production of goods capable of protecting their health. Vaporart also maintained that Facebook’s advertising policy was discriminatory, as it treated in the same way harmful products (tobacco) and harmless ones (nicotine-free liquids). The Tribunal of Milan dismissed Vaporart’s arguments. It stated that Facebook’s refusal was not discriminatory, because it was based on a policy that was equally applied to all advertisers. Furthermore, Facebook’s refusal was justified by the fact that Vaporart also marketed nicotine products, which could have been indirectly promoted by its advertisements of nicotine-free liquids. In July 2017, the Tribunal of Rome rejected a damages claim filed by the Ministry of Health and the Ministry of Economics and Finance, following on from the decision issued by the ICA in Pfizer.36 In January 2012, the ICA found that Pfizer Italia had abused its dominant position in the market for anti-glaucoma drugs based on prostaglandin analogues through a complex strategy aimed at delaying the entry of generics producers.37 In the ICA’s view, this strategy included Pfizer Italia’s attempt to extend its active ingredient patent coverage until 2011, inter alia, by lodging a divisional patent application with the European Patent Office (EPO). It also included Pfizer Italia bringing legal and administrative actions against generics producers before the national courts. The TAR annulled the ICA’s decision, also in light of the decision of the EPO’s Technical Board of Appeal, which had acknowledged the validity of Pfizer’s divisional patent.38 However, in February 2014, the Council of State upheld the ICA’s appeal, and confirmed the initial finding of abuse of rights and legitimate interests in the context of a complex anticompetitive strategy.39 In particular, the Council of State agreed with the ICA on the irrelevance of the validity of Pfizer’s divisional patent, taking into account the broader factual framework of multiple practices allegedly pursued by Pfizer to postpone the entry of generics into the market. Following the judgment of the Council of State, the above-mentioned Ministries filed a follow-on action against Pfizer before the Tribunal of Rome, claiming damages of approximately €14 million due to the increase in the costs borne by the Italian National Health System. The Tribunal of Rome rejected the Ministries’ damages claims. The Tribunal held that Pfizer had lawfully exercised its IP rights, which pursue a pro-competitive objective (i.e., providing the incentive to invest in R&D). According to the Tribunal, Pfizer’s application for a divisional patent, together with its other administrative actions, could not be considered part of an exclusionary strategy because they had a legitimate legal and economic rationale. Similarly, the Tribunal excluded that there was any vexatious litigation strategy by Pfizer, as its actions did not meet the two cumulative conditions necessary to consider them abusive under EU case law, namely that the legal action cannot reasonably be considered as an attempt to establish the right of the claimant, and is part of a plan or is intended to eliminate competition. Moreover, the existence of the alleged infringement was questionable because, after the ICA’s decision, the EPO’s Technical Board of Appeal confirmed the validity of Pfizer’s divisional patent application. Finally, the Tribunal noted that the binding effect of ICA findings of infringement, provided for by Article 7 of Legislative Decree No. 3/2017, did not apply in that case because of the temporal scope of application of the new rules, and thus the ICA decision was not binding on the Tribunal. In light of the above, the Tribunal departed from the ICA’s findings and stated that Pfizer had not committed an abuse. Moreover, the Tribunal found that the claimants had failed to demonstrate a causal link between the abusive conduct and the alleged damages, as well as the amount of the damages. In November 2017, the Court of Appeal of Milan held that charging lower prices to customers that purchase a larger amount of products, based on objective parameters, is not an abuse.40 A small retailer had refused to fulfil its payment obligations in relation to a supplier on the ground that, inter alia, the prices charged by the supplier were higher than those offered to large retailers (such as supermarkets). The Court of Appeal dismissed the action brought by the retailer. According to the Court, the fact that large retailers may obtain lower prices due to the greater amount of products purchased constitutes a normal commercial practice, and antitrust law should not aim at ensuring that less efficient competitors remain on the market. In February 2018, the Tribunal of Milan rejected damages claims filed by Eutelia and Fallimento Voiceplus for an alleged abuse of dominance committed by Telecom Italia in the market for value-added services offered through ‘non-geographical numbers’ (NGNs).41 Eutelia and Voiceplus were telecommunications operators authorised to use NGNs to provide clients with value-added services (e.g., televoting services). Telecom (and other fixed and mobile telecommunications operators) provided customers with the call origination services needed to use the value-added services offered by NGN operators. The provision of NGN services was based on a system of double invoicing: the firm providing call origination services charged customers for the value-added services, and transferred the amount paid to NGN operators after deducting a fee. Eutelia and Voiceplus claimed before the Tribunal of Milan that, as of 2005, Telecom had refused to transfer to them the amount paid by certain customers, or to charge some customers for the value-added services provided by Eutelia and Voiceplus, by alleging unproven frauds and anomalies in traffic data concerning their customers. The Tribunal of Milan held that the claimants had not proved to the required legal standard that Telecom was dominant in a properly defined relevant market. In particular, the Tribunal observed that call origination and invoicing services could be provided not only by Telecom, but also by other fixed and mobile telecommunications players, which enabled NGN operators to supply their services to a significant number of customers without the intermediation of Telecom. The Tribunal also stated that the claimants had not provided sufficient evidence of the alleged discriminatory practices, as the available evidence demonstrated that Telecom had adopted the same course of action in the case of possible frauds and anomalies in traffic data concerning not only the claimants’ clients, but also its own customers. Furthermore, Telecom would not have had any economic interest in limiting the traffic of NGN firms, which resulted in additional revenues for the incumbent, as Telecom was entitled to a fee for value-added services. Market shares are a key factor in the assessment of dominance.45 Market shares exceeding 40 per cent are normally considered an indication of dominance. However, firms holding market shares lower than 40 per cent may also be dominant if the remaining part of the market is composed of small competitors.46 The stability of market shares is also important,47 but the fact that the market share is decreasing does not necessarily preclude a finding of dominance.48 In the assessment of dominance, the ICA and national courts may consider a number of additional factors that give the firm concerned a competitive advantage or raise barriers to entry. A dominant firm violates Article 3 only if it commits an abuse. Dominance itself is not an offence. Dominant firms have a special responsibility not to impair undistorted competition in the relevant market.51 As a consequence, conduct that would normally be lawful may be considered anticompetitive if engaged in by a dominant firm. Article 3 applies to both anticompetitive conduct aimed at excluding competitors (exclusionary abuses) and the exploitation of dominant firms’ market power (exploitative abuses). The list of abuses provided in Article 3 of the Competition Act is not exhaustive, and the ICA has often fined sui generis anticompetitive practices. The crucial challenge is to identify the practices that pose unacceptable competitive dangers. In this respect, the ICA has traditionally adopted a case-by-case approach, which does not seem to reflect a coherent theoretical framework. Exclusive dealing obligations may constitute an abuse under Article 3 when the conduct may significantly foreclose access to the market. In Diritti calcistici,72 the ICA found that Mediaset, the main Italian TV operator, violated Article 102 of the TFEU on the market for the sale of TV advertising lots. In 2004, Mediaset concluded with the major Italian soccer clubs various contracts concerning the broadcasting rights of their home matches for the 2004 to 2007 seasons. Moreover, Mediaset negotiated with the same clubs exclusive pre-emption rights for the broadcasting of their matches through all platforms from 2007 to 2016. Through exclusivity, ‘English clauses’ and pre-emption rights, Mediaset rendered the relevant TV content de facto unavailable for a long period for its competitors. The ICA may also find an abuse even when a dominant firm imposes de facto exclusivity through the threat of retaliation and other measures,73 or uses contractual clauses that lead to an exclusive commercial relationship,74 especially within the framework of a broader exclusionary strategy that includes other practices aimed at limiting competitors’ access to suppliers, distribution channels or customers. Article 3(d) of the Competition Act prohibits firms in a dominant position in the market for a particular product or service (the tying product or service) from conditioning the sale of that product or service upon the purchase of another (the tied product or service). Tying may also be obtained through price incentives such as, in particular, bundled discounts and rebates. For instance, in Albacom Servizio Executive,79 the ICA found that the incumbent in the telecommunications sector infringed Article 3 by making certain rebates on the price of a monopolised service conditional upon attaining certain traffic volumes in a liberalised service. In principle, lack of capacity on a facility (capacity saturation) should constitute an objective justification.89 In exceptional circumstances, however, a dominant firm may be obliged to invest in the development of the facility. Indeed, in Eni-TTPC,90 the ICA held that the interruption of the expansion of a pipeline used for the international transport of gas and the termination of the ‘ship or pay’ agreements entered into by the firm managing the facility – a dominant firm’s subsidiary – with independent shippers amounted to an abuse of dominant position. The ICA did not apply the essential facility doctrine since alternative infrastructures could be used to transport gas into Italy, and the dominant firm was not under an obligation to invest in the development of the pipeline. Nonetheless, the ICA held that the interruption of the expansion was abusive due to the interference of the mother company in the subsidiary’s investment decisions. In a similar case,91 the Commission adopted a different approach, as it explicitly relied on the essential facility doctrine. In particular, the Commission held that the different infrastructures used to transport gas into Italy, taken as a whole, constituted a single essential facility, and stated that the incumbent may have an obligation to invest in the development of an infrastructure if a system operator not vertically integrated in the sale of gas would do so. Pursuant to Article 15 of the Competition Act, the ICA may impose on firms fines of up to 10 per cent of their total turnover. However, fines actually imposed by the ICA are normally significantly lower than the above-mentioned cap. If a firm fails to comply with an order to cease an abusive conduct, the ICA may impose a fine of up to 10 per cent of the firm’s total turnover. If the original infringement decision imposed a fine, the new sanction is at least twice the previous fine up to 10 per cent of the turnover. If a firm repeatedly violates an order of the ICA, the latter may suspend the firm’s activities for up to 30 days. Pursuant to Article 15(1) of the Competition Act, if the ICA finds a violation of antitrust rules, it orders the companies concerned to put an end to the infringement. The ICA typically asks the companies involved to desist immediately from the anticompetitive conduct, to enact positive measures to restore conditions of effective competition in the affected markets within a certain time-limit, and to report on its progress. According to Article 14 bis of the Competition Act, in urgent cases, where there is a risk of serious and irreparable damage to competition and a cursory examination of the facts reveals the existence of an infringement, the ICA may order interim measures on its own motion. The ICA may start proceedings after assessing the information at its disposal or brought to its attention by third parties, such as public authorities, consumer associations and competitors. The ICA may also start antitrust proceedings following a general sector investigation. Antitrust investigations are often triggered by third-party concerns, but this is not always the case. The decision to start proceedings, which is published in the ICA’s Bulletin and on its website, contains the essential elements of an alleged infringement. The ICA serves the decision upon the parties concerned (i.e., the parties whose conduct is at issue and third parties who submitted complaints or reports). The decision to start proceedings is sometimes served upon the firm under investigation during an unannounced inspection. d access the case file. Within 30 days of publication of the decision to start proceedings in the Bulletin, interested third parties (individuals, consumer associations, competitors, or other bodies whose interests might be directly and immediately harmed by the alleged infringement or any measures adopted as a result of the investigation) may request to participate in the proceedings. Complainants and interveners may access the case file and submit briefs and documents. In addition, they may be heard by the ICA officials and be allowed to participate in the final oral hearing, if the latter is requested by the firms under investigation. f secure premises overnight by seal. The ICA may impose fines on firms that fail to provide the information or exhibit the documents requested or, intentionally or negligently, supply incorrect or misleading information. The Italian legal system does not provide for special rules on legal privilege in antitrust proceedings. In its decision practice, the ICA generally follows the principles and criteria established by EU case law. Pursuant to Article 22 of Regulation (EC) No. 1/2003, the ICA may seek the assistance of other national competition authorities to carry out investigative activity in their jurisdiction on its behalf. In urgent cases, the ICA may order interim measures, which cannot be renewed or extended. If the addressee of the interim measures does not comply with the decision, the ICA may impose a fine of up to 3 per cent of the annual turnover. Investigations may last for several months and often more than one year. When the ICA considers that it has acquired sufficient evidence, it issues a statement of objections (SO) by which it notifies the companies concerned and any complainants of its objections at least 30 days before the closing date of the investigation. The SO contains an extensive elaboration of the reasons underlying the ICA’s assessment of the case. If the companies being investigated request to be heard by the ICA, a final hearing takes place, typically on the date of closure of the investigation. After the final hearing, the ICA issues a decision. If the ICA finds that the contested conduct is abusive, it orders that the infringement be put an end within a given time limit. If the infringement is serious, the ICA can impose a fine. Under Article 14 ter of the Competition Act, firms may offer commitments aimed at removing the ICA’s competition concerns within three months from the opening of proceedings. After assessing the suitability of such commitments, including by means of a market test, the ICA may make them binding on the firms concerned and close the proceedings without ascertaining any infringement or imposing a fine. Commitment decisions have become a frequently used enforcement tool. The ICA’s decisions are subject to judicial review by the TAR. The parties may file an appeal within 60 days from receipt of the notifications of the decision. The parties can ask the TAR for a stay of execution of the ICA’s decision. Hearings for interim measures are usually granted within a short time after the filing of a notice of appeal. A hearing on the merits of a case usually takes place within one year of the filing of an appeal. If the appeal is denied, the party may appeal to the Council of State. Victims of abusive conduct may bring private antitrust actions before the competent Italian civil courts to ask for compensation, declarations of nullity, restitution or injunctive relief. A collective action system has been recently introduced in the Italian legal system.114 Pursuant to Article 140 bis of the Consumer Code, in cases of anticompetitive practices affecting a number of consumers or users, any of them has standing to file a class action with the competent court. At the end of the first hearing, the court decides whether the conditions for the certification of the class action are met.115 If the class action is admitted, a notice about the lawsuit is published, and all consumers or users who claim to have a right homogeneous to that for which the class has been established can join it. The opt-in declaration must be filed with the register of the competent court within a certain time.116 Consumers and users who opt in do not assume the role of parties to the proceedings, and thus do not have procedural powers. If the court eventually finds that the class action is well founded, it orders the defendant to pay a certain sum to each member of the class or, alternatively, establishes the criteria on the basis of which these sums must be calculated. In addition, pursuant to Articles 139 and 140 of the Italian Consumer Code, consumer associations registered with the Ministry for Productive Activities have standing to request cease-and-desist orders against certain practices that may harm consumer interests, and appropriate measures for correcting or eliminating the detrimental effects thereof. The calculation of damages based on loss of income is especially difficult when the injured company could not enter the market due to abusive conduct. In Telesystem,118 the Court commissioned an expert report on losses suffered by a potential first mover into the sector for leased-lines services, which failed to enter this new market because of the dominant firm’s refusal to grant access to certain essential facilities. The damage liquidation was based, inter alia, on the advantage that the plaintiff would have had as first entrant into the sector for leased-lines services. However, the Court considered also that, in a free market economy, monopoly rent, such as that of a first mover, tends to be neutralised by competition within a certain time frame. As a matter of principle, civil courts do not have the power to permanently enjoin a defendant from repeating an anticompetitive conduct in their final judgments, unless the antitrust violations are also qualified as unfair competition acts pursuant to Article 2598 of the Italian Civil Code. A plaintiff may obtain interim remedies, including temporary injunctions and any other remedy that the court may deem appropriate to preserve the plaintiff’s rights until a final judgment is issued. To this end, the claimant must provide sufficient factual and legal grounds to establish a prima facie case, as well as the risk of imminent and irreparable damage. As to stand-alone private actions, the Supreme Court stated that, in light of the information asymmetry between claimants and defendants and the complexity of antitrust cases, civil courts should not adopt a strict application of the burden-of-proof principle.124 To ensure an effective application of competition rules in private actions for damages, national courts should use the procedural tools available under Italian law (such as orders to submit documents, requests for information from administrative authorities and expert opinions) to acquire and evaluate data and information useful for establishing the alleged anticompetitive conduct. On 3 February 2017, Legislative Decree 19 January 2017, No. 3, implementing Directive No. 2014/104/EU on actions for antitrust damages, entered into force. The Decree introduced a number of substantive and procedural provisions to facilitate damages claims by victims of antitrust infringements. It follows the EU Directive, with some minor procedural adjustments. The new procedural rules apply to damages actions brought after 26 December 2014. Inter alia, the Decree strengthens the rules on disclosure of evidence. Upon motivated request, national courts can order the parties to civil proceedings or third parties to disclose relevant evidence in their possession. Courts have to specifically indicate the evidence to be disclosed and, in the case of confidential information, they must adopt the necessary measures to protect it (e.g., by redacting sensitive information). If a piece of evidence cannot be produced by the parties or any third party, courts can order the exhibition of the documents in the case file of a national competition authority – apart from leniency statements and settlement submissions – provided that certain conditions are met. According to the Decree, ICA decisions and administrative court definitive judgments constitute legal proof of antitrust infringements. Nevertheless, a claimant still has to prove the other requirements for civil liability, including the causal link between the conduct and the damage. Decisions of competition authorities and courts of other Member States constitute evidence that may be considered by the national courts together with other available evidence. Damages claims based on antitrust infringements are time-barred after five years. However, the limitation period is stayed during ICA proceedings, and for an additional year from the moment the infringement decision becomes final or the proceedings otherwise terminate. The Decree confirms the principle that victims of antitrust infringements are entitled to full compensation, but overcompensation should be avoided. The alleged infringer may claim that the claimant has passed on all or part of the overcharge to its customers (passing-on defence). In this case, the burden of proof lies with the defendant, which may also ask for a judicial order of disclosure of evidence from the claimant or third parties. The parties to a cartel are jointly and severally liable for the damage caused, but this principle does not apply when the cartelist is a small or medium-sized enterprise; or the cartelist received full immunity in the context of leniency applications. The Decree attributes exclusive competence over actions for antitrust damages to the specialised business divisions of the Courts of Milan, Rome and Naples, which are competent for Northern, Central and Southern Italy, respectively. Unfortunately, Legislative Decree 19 January 2017, No. 3, implementing Directive No. 2014/104/EU, confirmed that the judicial review of antitrust decisions does not extend to complex assessments carried out by the ICA when these assessments are disputable. The entry into force of the binding effect of the ICA’s findings of infringement in private damages actions, pursuant to Article 7 of Legislative Decree No. 3/2017, will probably increase the tension between antitrust proceedings and the protection of fundamental rights. The Tribunal of Rome’s judgment in Pfizer in 2017 (which refused to find an infringement already found by the ICA and confirmed by the Council of State) confirms that, in some cases, the civil courts may have valid reasons to depart from the position taken by an antitrust authority (including the need to take into account new events and factual evidence). The binding effect of antitrust decisions in damages actions is difficult to reconcile with the protection of fundamental rights if findings of infringements are not subject to full and unlimited review by an independent court (including with regard to complex economic assessments). Many cases decided by the ICA and national courts in the past few years have concerned highly regulated sectors. The interaction between competition law and sector-specific regulation seems to give rise to an increasing risk of conflicts of jurisdiction and interferences between different authorities. In some cases, the application of competition rules has led to the imposition of obligations incompatible with sector-specific rules, which has often been criticised by the administrative courts. In other cases, the application of competition rules seemed to supplement sector-specific regulation by imposing additional and stricter obligations. The use of competition law to impose additional and stricter obligations on firms already subject to pervasive sector-specific regulation also raises delicate issues as to the interference and overlapping between the two sets of rules. The Wind-Fastweb/Condotte Telecom Italia case is a notable example of the risk of conflicts and inconsistencies between the two sets of rules. Access regulation in the electronic communications sector in Italy (and many other states) was traditionally based on the equivalence of output principle, according to which access services offered by the incumbent to alternative operators must be comparable to the services it provides to its retail division in terms of functionality and price, but they may be provided through different systems and processes. By contrast, in its 2015 ruling,128 the Council of State seemed to consider that differences in supply processes (provided for by sector regulation) are problematic in themselves, because they inevitably entail a different treatment of external and internal requests for access services. To reduce the risk of further antitrust proceedings and damages actions, in 2016 the incumbent introduced a new equivalence model based on the use of the same systems and processes for external and internal requests. 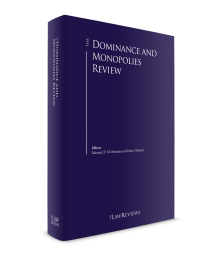 Thus, antitrust intervention eventually resulted in a radical shift in the regulatory model, which went beyond the remedies imposed by sector-specific regulation. The misuse of rights and legitimate interests lies at the boundary of antitrust liability. An abusive exercise of a right or legitimate interest may be found when the contested conduct is characterised by an additional element that is intrinsically objectionable, such as the provision of false or misleading information to a regulatory authority, or when it is part of a broader exclusionary strategy implemented also through other anticompetitive practices.132 The distinction between legitimate exercise and abuse of right becomes much more complex, however, when a dominant firm merely exercises its rights in administrative or judicial proceedings to (artificially) protect its position and interests. The judgments delivered by the TAR in Arenaways in 2014 and by the Tribunal of Rome in Pfizer in 2017 seem to confirm that, as a general rule, firms may not be deprived of the chance to exercise their rights and legitimate interests, even though this may negatively affect competitors’ access to the market; however, the boundaries between legitimate exercise and abuse of right remain unclear and need to be clarified by the competent authorities in the future. In 2015 and 2016, commitment decisions represented the majority of abuse of dominance cases closed by the ICA (two out of three cases each year). In 2017, the ICA issued commitment decisions in four out of 10 cases, while in five cases it found an infringement and imposed a fine on the dominant firm. In addition, at the beginning of 2018, the ICA issued an infringement decision. Compared to past practice, the ICA now seems to pay more attention to the nexus between the competitive concerns and the commitments offered by the parties. Furthermore, the fact that lower courts tend to consider that commitment decisions may also have evidentiary value may reduce the incentive of firms to offer voluntary remedies.136 Nonetheless, negotiated enforcement continues to play a very important role in antitrust decision-making practice. This may have both positive and negative effects. Commitment decisions may reduce risks for firms, and enable the ICA to address more rapidly the issues raised by potentially anticompetitive practices. On the other hand, an extensive use of commitment decisions may negatively affect the development of case law on abuse of dominance, as these decisions do not contain a complete and detailed analysis of the alleged infringement, and the robustness of their reasoning and interpretative choices is normally not tested before courts. 1 Matteo Beretta is a partner and Gianluca Faella is counsel at Cleary Gottlieb Steen & Hamilton LLP. 2 Law 10 October 1990, No. 287. 3 In particular, it is prohibited to (1) directly or indirectly impose unjustifiable burdensome purchase or selling prices or other contractual conditions; (2) limit or restrict production, market outlets or market access, investment, technical development or technological progress; (3) apply to other trading partners objectively dissimilar conditions for equivalent transactions, thereby placing them at an unjustifiable competitive disadvantage; and (4) make the conclusion of contracts subject to acceptance by the other parties of supplementary obligations that, by their nature or according to commercial usage, have no connection with the subject of such contracts. 4 Guidance on the Commission’s enforcement priorities in applying Article 82 of the EC Treaty to abusive exclusionary conduct by dominant undertakings, 2009/C 45/02. 5 Firms holding a legal monopoly must operate through separate companies if they intend to operate on other markets. When firms entrusted with the provision of services of general economic interest or holding a legal monopoly supply their subsidiaries on different markets with products or services over which they have exclusive rights, they must make these products or services available to their direct competitors on equivalent terms and conditions. This provision applies regardless of the market position of the subsidiary. 6 Decisions of 31 October 2017, No. 26822, A484, Unilever/Distribuzione gelati; 13 December 2017, No. 26900, A493, Poste italiane/Prezzi recapito; 13 December 2017, No. 26901, A500A, Vodafone - SMS informativi aziendali; 13 December 2017, No. 26902, A500B, Telecom Italia - SMS informativi aziendali; 20 December 2017, No. 26907, A503, Società Iniziative Editoriali/Servizi di rassegna stampa nella provincia di Trento. 7 Decisions of 18 January 2017, No. 26350, A490, Net Service-Software processo civile telematico; 22 March 2017, No. 26497, A489, Nuovo Imaie-Condotte anticoncorrenziali; 4 May 2017, No. 26562, A498A, Enel - Prezzi servizi di dispacciamento area Brindisi; 25 July 2017, No. 26704, A499, Assicurazioni agricole/Comportamenti escludenti Codipra. 8 Decision of 4 May 2017, No. 26563, A498B, Sorgenia - Prezzi servizi di dispacciamento area Brindisi. 9 Decision of 28 February 2018, No. 27503, A487, Compagnia Italiana di Navigazione - Trasporto marittimo delle merci da/per la Sardegna. 10 TAR, 23 January 2017, No. 1188; 1 August 2017, Nos. 9140 and 9141. 11 TAR, 26 July 2017, No. 8948. 12 Council of State, 12 April 2017, No. 1708. 13 Decision of 18 January 2017, No. 26350, A490, Net Service-Software processo civile telematico. 14 Decision of 22 March 2017, No. 26497, A489, Nuovo Imaie-Condotte anticoncorrenziali. 15 Decision of 25 July 2017, No. 26704, A499, Assicurazioni agricole/Comportamenti escludenti Codipra. 16 Decision of 4 May 2017, No. 26562, A498A, Enel - Prezzi servizi di dispacciamento area Brindisi, and decision of 4 May 2017, No. 26563, A498B, Sorgenia - Prezzi servizi di dispacciamento area Brindisi. 17 Case C-413/14 P, Intel, ECLI:EU:C:2017:632. 18 Decision of 31 October 2017, No. 26822, A484, Unilever/Distribuzione gelati. 19 Decision of 13 December 2017, No. 26900, A493, Poste italiane/Prezzi recapito. 20 Case C-23/14, Post Danmark, ECLI:EU:C:2015:651. 21 In the ICA’s view, PI’s exclusionary strategy had a significant impact on the competitive dynamics of the market concerned, as the dominant company succeeded in getting numerous clients back and increasing its market share to the detriment of competitors. However, several aspects of the decision seem to be open to question. 22 Decisions of 13 December 2017, No. 26901, A500A, Vodafone - SMS informativi aziendali, and No. 26902, A500B, Telecom Italia - SMS informativi aziendali. 23 Decision of 20 December 2017, No. 26907, A503, Società Iniziative Editoriali/Servizi di rassegna stampa nella provincia di Trento. 24 Decision of 28 February 2018, No. 27503, A487, Compagnia Italiana di Navigazione - Trasporto marittimo delle merci da/per la Sardegna. 25 TAR, 23 January 2017, No. 1188, and decision of 25 March 2015, No. 25397, A474, SEA/Convenzione ATA. 26 Council of State, 12 April 2017, No. 1708. 27 TAR, 5 July 2016, No. 7732. 28 Recommendation of 17 March 2016, AS1265, designation of origin and geographical indication in the wine industry. 29 TAR, 9 September 2015, No. 11132. 30 On 17 October 2016, the special commissioner opened a formal investigation (case A501, Chambers of Commerce-Market for the certification of quality wines). 31 Decision of 29 September 2016, No. 26185, A480, Aspen-Incremento prezzi farmaci; TAR, 26 July 2017, No. 8948. 32 Decision of 25 January 2012, A435, Comune di Prato-Estra Reti Gas; TAR, 1 August 2017, Nos. 9140 and 9141. 33 Moreover, the three-month period between the entry into force of the new rules on tenders and the date on which the municipality regularised the call for tenders should not have been considered in determining the duration of the infringement. 34 Court of Appeal of Milan, 2 January 2017. 35 Tribunal of Milan, 19 June 2017. 36 Tribunal of Rome, 24 July 2017, No. 15020. 37 Decision of 11 January 2012, No. 23194, A431, Ratiopharm/Pfizer. 38 TAR, 2 September 2012, No. 7467. 39 Council of State, 12 February 2014, No. 693. 40 Court of Appeal of Milan, 7 November 2017. 41 Tribunal of Milan, 13 February 2018, No. 1560. 42 See, e.g., decision of 28 June 2011, No. 22558, A415, Sapec Agro/Bayer-Helm. 43 See, e.g., decision of 17 December 1998, No. 6697, A 209, Goriziane/Fiat Ferroviaria. 44 See, e.g., decisions of 7 December 1999, No. 7804, A224, Pepsico Foods and Beverages International-IBG Sud/Coca-Cola Italia; 14 June 2000, No. 8386, A274, Stream/Telepiù; and 10 April 1992, No. 453, A13, Marinzulich/Tirrenia. 45 See, for example, decision of 7 December 1999, No. 7804, A224, Pepsico Foods and Beverages International-IBG Sud/Coca-Cola Italia; TAR, 23 September 2008, No. 8481. 46 See, for example, decision of 27 November 2003, No. 12634, A333, Enel Trade-Clienti Idonei. 47 See, e.g., decision of 30 June 2010, No. 21297, A383, Mercato del cartongesso. 48 See, for example, decision of 9 February 1995, No. 2793, A76, Tekal/Italcementi. 49 See decision of 3 August 2007, No. 17131, A357, Tele2/Tim-Vodafone-Wind. 50 Pursuant to Article 9, paragraph 3 bis, of Law No. 192/1998, in the case of widespread and repeated violations of the rules on payment terms provided for by Legislative Decree No. 231/2002 in contractual relationships with firms (in particular small and medium-sized undertakings), an abuse may be found even in the absence of economic dependence. See decision of 23 November 2016, No. 26251, RP1, Hera-affidamenti gruppi misura gas/termini di pagamento. 51 See, e.g., Council of State, 19 July 2002, No. 4001; TAR, 14 April 2008, No. 3163; decision of 16 November 2004, No. 13752, A351, Comportamenti abusivi di Telecom Italia; Council of State, 15 May 2015, No. 2479. 52 See, e.g., Council of State, 15 May 2015, No. 2479; TAR, 30 August 2006, No. 7807; 20 October 2006, No. 10678. 53 See, e.g., Council of State, 19 July 2002, No. 4001. 54 See, for example, decisions of 16 November 2004, No. 13752, A351, Comportamenti abusivi di Telecom Italia; 7 December 1999, No. 7804, A224, Pepsico Foods and Beverages International-IBG Sud/Coca-Cola Italia; 9 February 1995, No. 2793, A76, Tekal/Italcementi. 55 See Council of State, 12 February 2014, No. 693; 8 April 2014, No. 1673; TAR, 27 March 2014, No. 3398. 56 See, for example, decisions of 25 February 1999, No. 6926, A221, Snam-Tariffe di Vettoriamento, Bulletin 8/1999; 23 July 1993, No. 1312, A35, Cesare Fremura/Ferrovie dello Stato. 57 Decision of 9 February 1995, No. 2793, A76, Tekal/Italcementi. 58 Case C-62/86, AKZO/Commission, 1991 ECR I-3359. 59 Case C-334/96, Tetra Pak/Commission, 1996 ECR I-5951. 60 Brook Group v. Brown & Williamson Tobacco, 509 US 940 (1993). 61 Decision of 17 April 2002, No. 10650, A267, Diano/Tourist Ferry Boat-Caronte Shipping-Navigazione Generale Italiana. 62 Decision of 24 October 2007, No. 17522, A372, Mercato del calcestruzzo cellulare autoclavato. 63 Decision of 14 December 2011, No. 23065, A413, TNT Post Italia/Poste Italiane. 64 TAR, 25 June 2012, No. 5769. 65 Council of State, 6 May 2014, No. 2302. The Council of State held that the analysis of LRAIC was erroneous in several respects: (1) the predation analysis should have been carried out ex ante, on the basis of data and information available when the firm set its prices, and not ex post, on the basis of regulatory costs; (2) the ICA had not taken into account the increase in regulatory costs because of universal service obligations; (3) the ICA had assessed the profitability of the service over the first year-and-a-half of activity without considering that initial losses in the launch of a new product may be inevitable; and (4) the ICA had wrongfully identified the incremental costs borne for the supply of the services concerned by allocating to these services resources used mainly for other services. 66 Decision of 7 December 1999, No. 7804, A224, Pepsico Foods and Beverages International-IBG Sud/Coca-Cola Italia; Court of Appeal of Milan, 16 May 2006. 67 Decision of 12 November 2008, No. 19249, A375, Sfruttamento di informazioni commerciali privilegiate; Court of Appeal of Milan, 16 May 2006. 68 Decision of 27 March 2013, No. 24293, Case A441, Applicazione dell’IVA sui servizi postali, Bulletin No. 16/2013; TAR, 7 February 2014, No. 1525. 2017, No. 26901, A500A, Vodafone - SMS informativi aziendali; 13 December 2017, No. 26902, A500B, Telecom Italia - SMS informativi aziendali. 70 Decision of 16 November 2004, No. 13752, A351, Comportamenti abusivi di Telecom Italia; see also decisions of 23 October 2008, No. 19020, A376, Aeroporti di Roma-Tariffe aeroportuali. 71 See, e.g., decision of 9 May 2013, No. 24339, A428, Wind-Fastweb/Condotte Telecom Italia, confirmed by the TAR, 8 May 2014, No. 4801, which was upheld by Council of State, 15 May 2015, No. 2479. See also decision of 15 July 2015, No. 25561, A473, Fornitura acido colico, concerning both an increase in the upstream price and selective discounts in the downstream market. 72 Decision of 28 June 2006, No. 15632, A362, Diritti calcistici. 73 See, e.g., decision of 25 July 2017, No. 26704, A499, Assicurazioni agricole/Comportamenti escludenti Codipra. 74 See decision of 31 October 2017, No. 26822, A484, Unilever/Distribuzione gelati, concerning, inter alia, a commitment to provide retailers with freezer cabinets without any charge, on the condition that retailers would not stock competitors’ ice creams in the freezer (freezer exclusivity). 75 See, for example, decisions of 27 November 2003, No. 12634, A333, Enel Trade-Clienti Idonei; 16 November 2004, No. 13752, A351, Comportamenti abusivi di Telecom Italia; 27 June 2001, No. 9693, A291, Assoviaggi/Alitalia; 7 December 1999, No. 7804, A224, Pepsico Foods and Beverages International-IBG Sud/Coca-Cola Italia; 19 October 1994, No. 2379, A49, Pozzuoli Ferries/Gruppo Lauro; 10 April 1992, No. 453, A13, Marinzulich/Tirrenia; 31 October 2017, No. 26822, A484, Unilever/Distribuzione gelati. 76 In some cases, intent and the existence of an overall exclusionary strategy played an important role in the finding of infringement. See, for example, Council of State, 10 March 2006, No. 1271. 77 See, in particular, decisions of 27 June 2001, No. 9693, A291, Assoviaggi/Alitalia; 7 December 1999, No. 7804, A224, Pepsico Foods and Beverages International-IBG Sud/Coca-Cola Italia. 78 See decisions of 13 December 2017, No. 26900, A493, Poste italiane/Prezzi recapito; 31 October 2017, No. 26822, A484, Unilever/Distribuzione gelati. 79 Decision of 29 May 1997, No. 5034, A156, Albacom Servizio Executive; see also decisions of 25 July 2017, No. 26704, A499, Assicurazioni agricole/Comportamenti escludenti Codipra; 20 September 2000, No. 8692, A247, Aeroporti di Roma-Tariffe del Groundhandling; 10 April 1992, No. 453, A13, Marinzulich/Tirrenia. 80 See decision of 6 November 1997, No. 5446, A129, Infocamere/Cerved. A refusal to deal by a dominant firm is abusive only if it is capable of having a significant impact on the market. Evidence of a single refusal to supply may not be sufficient to find an abuse. See TAR, 21 February 2001, No. 1371. 81 See decision of 25 July 2012, No. 23770, A436, Arenaways-Ostacoli all’accesso nel mercato dei servizi di trasporto ferroviario passeggeri. However, the decision was annulled by the TAR, 27 March 2014, No. 3398, according to which the ICA had erroneously held that the administrative procedures initiated by the dominant firm were merely dilatory. 82 See decision of 9 May 2013, No. 24339, A428, Wind-Fastweb/Condotte Telecom Italia, confirmed by TAR, 8 May 2014, No. 4801, which was upheld by Council of State, 15 May 2015, No. 2479. 84 See, for example, decision of 25 February 1999, No. 6926, A221, Snam-Tariffe di Vettoriamento. 85 See, for example, decisions of 8 February 2006, No. 15175, Glaxo-Principi attivi; 15 June 2005, No. 14388, A364, Merck-Principi attivi; TAR, 3 March 2006, No. 341; Court of Milan, 4 June 2013, No. 7825; decision of 6 September 2016, No. 26167, A486, Enel Distribuzione-Rimozione coatta dispositivi smart metering; 20 December 2017, No. 26907, A4503, Società Iniziative Editoriali/Servizi di rassegna stampa nella provincia di Trento. 86 See, for example, decisions of 17 March 1993, No. 1017, A11, IBAR/Aeroporti Roma; 16 March 1994, No. 1845, A56, IBAR/SEA; 10 January 1995, No. 2662, A71, Telsystem/Sip; 2 March 1995, No. 2854, A61, De Montis Catering Roma/Aeroporti di Roma; 11 November 1996, No. 4398, A102, Associazione Consumatori Utenti/Alitalia; 30 October 1997, No. 5428, A178, Albacom/Telecom Italia-Circuiti dedicati; 9 May 2013, No. 24339, A428, Wind-Fastweb/Condotte Telecom Italia, confirmed by TAR, 8 May 2014, No. 4801, upheld by Council of State, 15 May 2015, No. 2479; 19 February 2014, No. 24804, A443, NTV/FS/Ostacoli all’accesso nel mercato dei servizi di trasporto ferroviario passeggeri ad alta velocità; 22 March 2017, No. 26497, A489, Nuovo Imaie-Condotte anticoncorrenziali. 87 See, for example, decision of 15 June 2005, No. 14388, A364, Merck-Principi attivi; TAR, 3 March 2006, No. 341. 88 See, for example, decision of 2 March 1995, No. 2854, A61, De Montis Catering Roma/Aeroporti di Roma. 89 However, the ICA has normally rejected the defence in the light of the specific facts of the case: see, for example, decisions of 25 February 1999, No. 6926, A221, Snam-Tariffe di Vettoriamento; 6 June 1996, No. 3953, A107, Fina Italiana/Compagnia Italpetroli; 2 March 1995, No. 2854, A61, De Montis Catering Roma/Aeroporti di Roma. 90 Decision of 15 February 2006, No. 15174, A358, Eni-Trans Tunisian Pipeline. 91 Commission decision of 29 September 2010, case COMP/39.315, ENI. 92 For instance, in Alitalia, the ICA held that Alitalia’s incentive schemes for travel agents were discriminatory because, in some cases, different commissions were granted to travel agents for reaching similar sales targets. Thus, the agreements placed some travel agents at a competitive disadvantage without an acceptable justification. See decision of 27 June 2001, No. 9693, A291, Assoviaggi/Alitalia. See also, inter alia, decisions of 17 March 1993, No. 1017, A11, IBAR/Aeroporti Roma; 10 April 1992, No. 452, A4, Ancic/Cerved. 93 Court of Appeal of Milan, 7 November 2017. 94 See, for example, decisions of 27 February 2014, No. 24819, A444, Akron-Gestione rifiuti urbani a base cellulosica; 8 January 2017, No. 26350, A490, Net Service-Software processo civile telematico. 95 See, for example, decisions of 3 August 2007, No. 17131, A357, Tele2/Tim-Vodafone-Wind; 27 April 2001, No. 9472, A285, Infostrada/Telecom Italia-Tecnologia ADSL; 29 March 2006, No. 15310, A365, Posta elettronica ibrida; 24 February 2000, No. 8065, A227, Cesare Fremura-Assologistica/Ferrovie dello Stato. 96 See, for example, decisions of 27 April 2001, No. 9472, A285, Infostrada/Telecom Italia-Tecnologia ADSL; 29 March 2006, No. 15310, A365, Posta elettronica ibrida; 11 November 1996, No. 4398, A102, Associazione Consumatori Utenti/Alitalia. 97 See, for example, decision of 28 February 2018, No. 27503, A487, Compagnia Italiana di Navigazione - Trasporto marittimo delle merci da/per la Sardegna. 98 See, for example, decisions of 29 September 2016, No. 26185, A480, Aspen-Incremento prezzi farmaci; 23 October 2008, No. 19020, A376, Aeroporti di Roma-Tariffe aeroportuali; 26 November 2008, No. 19189, A377, Sea-Tariffe aeroportuali; 16 March 1994, No. 1845, A56, IBAR/SEA. 99 In that case, it is for the dominant firm to justify the price differential by showing objective differences between the situation in the markets concerned. See, for example, decision of 25 February 1999, No. 6926, A221, Snam-Tariffe di Vettoriamento. See also decision of 28 July 1995, No. 3195, A48, SILB/SIAE. 100 See, for example, decision of 4 May 2017, No. 26562, A498A, Enel - Prezzi servizi di dispacciamento area Brindisi. 101 See, for example, decisions of 15 November 2001, No. 10115, A306, Alitalia/Veraldi; 10 April 1992, No. 452, A4, Ancic/Cerved. 102 Decision of 29 September 2016, No. 26185, A480, Aspen-Incremento prezzi farmaci, upheld by TAR, 26 July 2017, No. 8948. 103 See, for example, decision of 23 May 2002, No. 10763, A299, International mail express/Poste Italiane. 104 Examples of unfair trading conditions include the imposition of a contractual clause that prohibits customers from reselling products bought from a supplier (decision of 10 April 1992, No. 452, A4, Ancic/Cerved), the refusal by a dominant firm providing toll payment services to reimburse cards not used, or only partially used, after their expiration (decision of 26 July 2007, No. 17069, A382, Autostrade/Carta prepagata Viacard), and the request of payment of unpaid bills of former customers as a condition to enter into new agreements for the supply of electricity or communications services (decisions of 10 October 2007, No. 17481, A390, Enel Distribuzione/Attivazione subordinata a pagamento morosità pregresse; 21 August 2008, No. 18692, A398, Telecom-Morosità pregresse). 105 See Guidelines on the method of setting fines imposed pursuant to Article 23(2)(a) of Regulation No. 1/2003, 2006 OJ (C 210) 2. 106 See, in particular, TAR, 27 February 2007, No. 1745; 15 January 2007, No. 203. 107 See Council of State, 2 March 2009, No. 1190. 108 See Council of State, 19 July 2002, No. 4001 and, more recently, TAR, 10 March 2003, No. 1790. 109 See, for example, Council of State, 6 May 2014, No. 2302; 20 February 2008, No. 597; 8 February 2007, No. 515. 110 See, e.g., Council of State, 6 May 2014, No. 2302; 24 September 2012, No. 5067. 111 Legislative Decree of 19 January 2017, No. 3, implementing in Italy Directive 2014/104/EU of the European Parliament and of the Council of 26 November 2014 on certain rules governing actions for damages under national law for infringements of the competition law provisions of the Member States and of the European Union, 2014, OJ L 349/1. 112 ECHR, Case No. 43509/08, A Menarini Diagnostics/Italy. 113 Supreme Court, 4 February 2005, No. 2207. 114 See Article 140 bis of Legislative Decree No. 206/2005 (Consumer Code). The collective action is applicable only with respect to infringements committed after 15 August 2009. 115 A collective action can be rejected by a court for a number of reasons. For instance, it can be dismissed when the consumer or user concerned has interests conflicting with those of the proposed class or does not seem to be able to protect adequately the class’s interests. 116 Individuals can decide not to join the class and file a separate lawsuit on their own. 117 Court of Appeal of Naples, 28 June 2007, No. 2513. 118 Court of Appeal of Milan, 18 July 1995 and 24 December 1996. 119 Court of Appeal of Milan, 16 September 2006. 120 Supreme Court, 20 June 2011, No. 13486. As a consequence, the defendant can rebut, for instance, the presumption of a causal link by alleging and proving different and specific factors, which were ex se capable of causing the damage or contributed to its causation, but it cannot rely on factors already examined and dismissed by the ICA. See Supreme Court, 10 May 2011, No. 10211; Court of Appeal of Milan, 2 January 2017. 121 Supreme Court, 28 May 2014, No. 11904. 122 In the case at hand, the Court held that the ICA decision was sufficient to prove the alleged infringement, its capability to harm customers and the existence of damage to customers in general. In a few cases, lower courts have departed from the findings of the ICA’s infringement decision: see, e.g., Tribunal of Rome, 26 July 2017, No. 12806, holding that the dominant firm had not committed an abuse, also in light of certain developments subsequent to the ICA decision. 123 Tribunal of Milan, 28 July 2015, No. 9109. 124 Supreme Court, 4 June 2015, No. 11564; see also Supreme Court, 1 April 2016, No. 6366. 125 Decisions of 31 October 2017, No. 26822, A484, Unilever/Distribuzione gelati; 13 December 2017, No. 26900, A493, Poste Italiane/Prezzi recapito. 126 Case C-413/14 P, Intel, ECLI:EU:C:2017:632. 127 Judgment of 27 September 2011, A Menarini Diagnostics SRL v. Italy, application No. 43509/08. 128 Council of State, 15 May 2015, No. 2479; TAR, 8 May 2014, No. 4801. 129 In particular, in AstraZeneca, the Commission and the General Court held that the firm concerned had abused its dominant position by obtaining a supplementary protection certificate on the basis of misleading information and representations provided to the competent authorities. See Case C-457/10 P, AstraZeneca v. Commission, ECLI:EU:C:2012:770. 130 Council of State, 12 February 2014, No. 693. 131 Decision of 25 March 2015, No. 25397, A474, SEA/Convenzione ATA; TAR, 23 January 2017, No. 1188. 132 See, e.g., decision of 3 September 2015, No. 25035, A476, Conai-Gestione rifiuti da imballaggi in plastica. 133 Council of State, 12 February 2014, No. 693. See also, inter alia, Council of State, 8 April 2014, No.1673. 134 A narrower interpretation of the concept of abuse of dominance is necessary, in particular, in cases concerning the exercise of fundamental rights enshrined in the EU Charter of Fundamental Rights or Member States’ constitutional traditions, such as the right of access to justice. 135 Two out of six, three out of nine, one out of five and one out of two, respectively. 136 Tribunal of Milan, 28 July 2015, No. 9109.